A friend had recently given me this bag of salted egg fish skin. Yes there has been a trend of coating potato chips of late with salted egg; and I’m not really complaining because I love the stuff. But this Singaporean brand, largely responsible for popularizing this potato chip business has made a delicious twist. 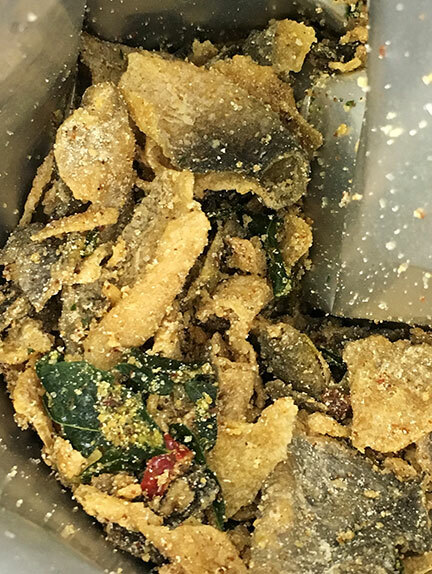 Deep fried fish skin has a more substantial crunch. And a more meaty flavor, like chicharron. And the combination is just so good. 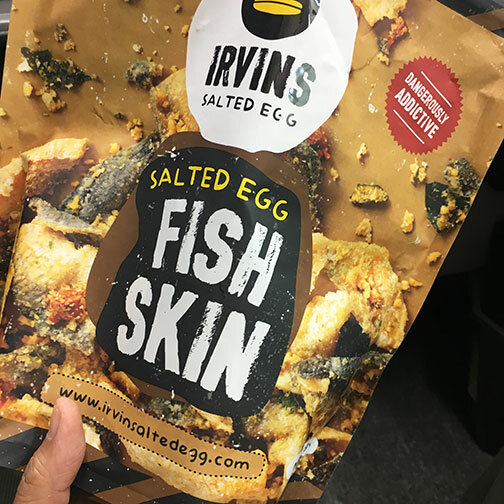 It’s not as salted egg flavor forward but it’s nonetheless addicting. If you’ve ever had cereal prawn, it tastes exactly like the cereal crumb coating; buttery, aromatic from the curry leaves and spicy bursts of heat from the chilies. The unctuousness of the salted egg you pickup at the end. If you can get your hands on these, or if you have friends in Singapore, let them start shipping boxes to you now.